María Damiana Vásquez has seen her fair share of hardship. She is a single mom, raising her three children on her own. Her husband had left after she gave birth to her daughter, Miriam, who is physically disabled. 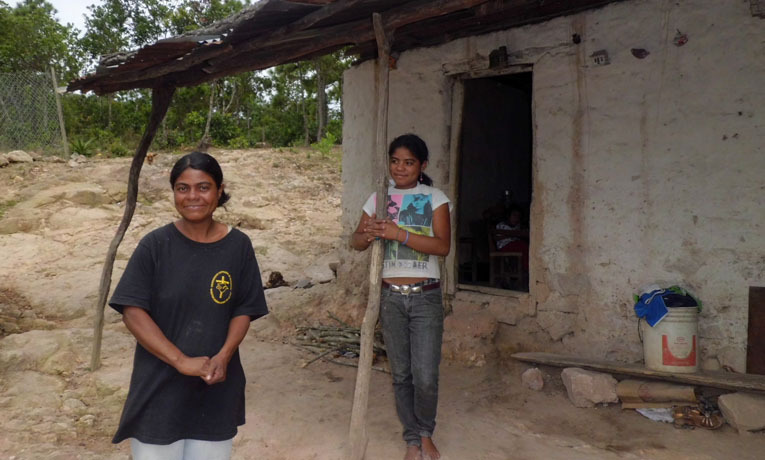 Maria and her 15-year-old son are the breadwinners for the family, usually working the land. When they have corn, they make tortillas to sell. However, Maria has to stay at home because she can’t leave Miriam alone; she doesn’t have a wheelchair to move her. Last summer, Maria began participating in a Samaritan´s Purse animal and agriculture program, raising sheep, reforesting with fruit trees, and planting beans and corn. The Vasquez family recently received a silo to store their corn in. It will be a great asset because it will enable them to make and sell tortillas throughout the year. Our staff shared the Gospel with the family and encouraged them to get connected with a local congregation of Christians. Maria can’t transport Miriam to the church, so the pastor visits regularly to teach them about the Bible. Maria said it has been a great blessing to receive help from Samaritan’s Purse because now she has more food in her home and has learned about Jesus.